Bring a vintage touch to your home with the Metal Mercantile Sign. 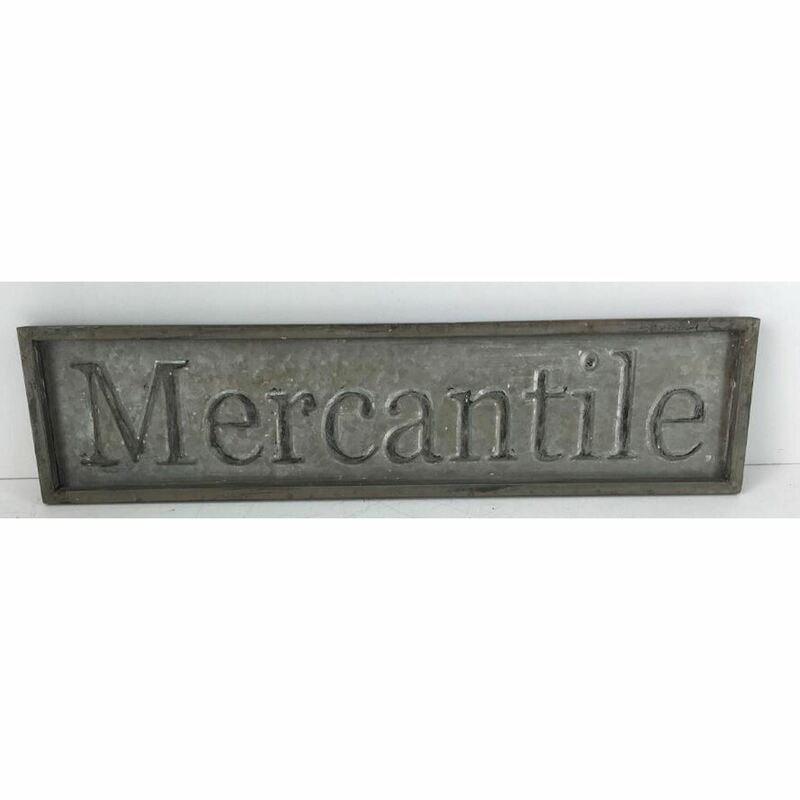 This metal sign is inscribed with the word “Mercantile” and enhanced with a galvanized finish for a rustic look. 7 X 27 X 1.